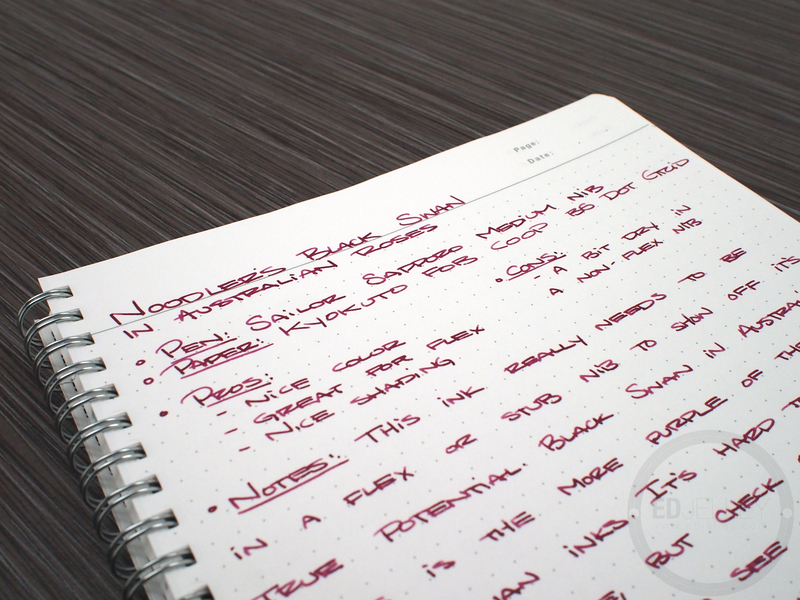 This ink really needs to be in a flex pen or a stub nib to show off its true potential. 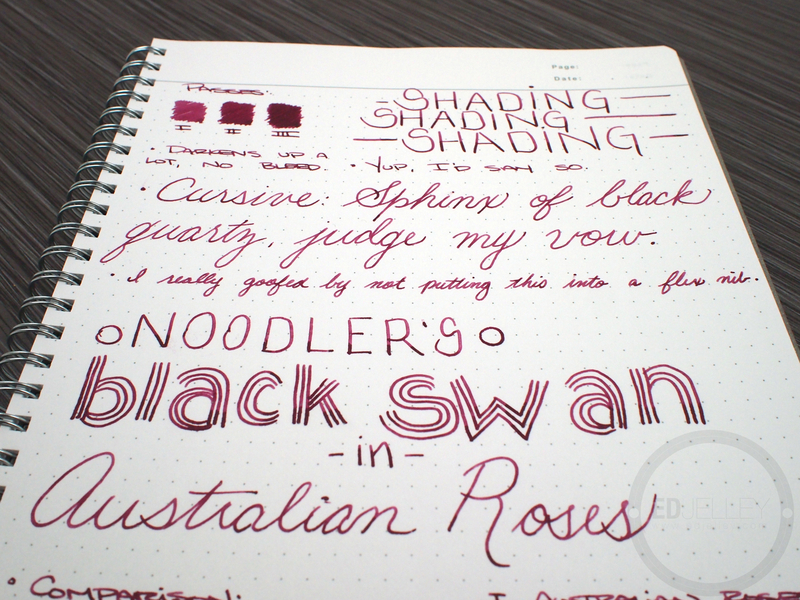 Black Swan in Australian Roses is the more purple of the two Black Swan inks. The English Roses leans much more red than this ink does. 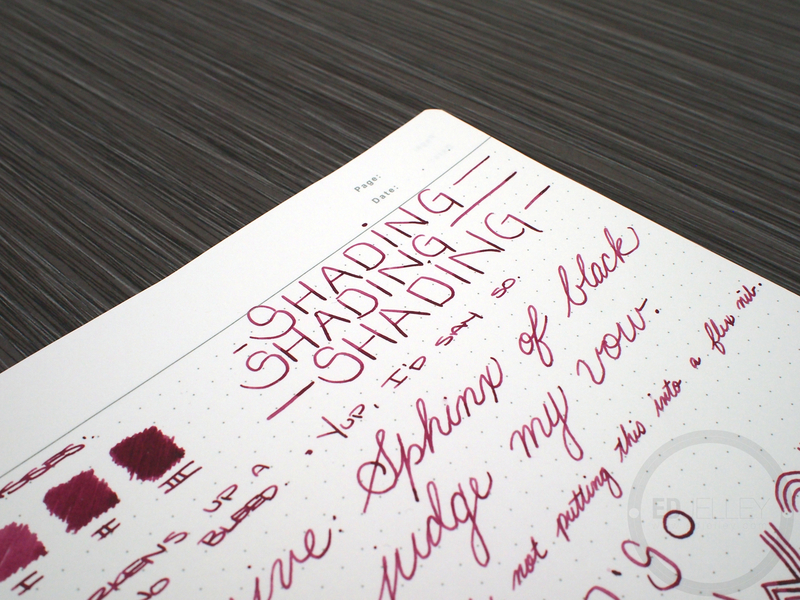 It’s hard to see the awesome shading this ink is capable of, but instead of admitting that I should have put this in my Eversharp Symphony, I’m going to pretend I wanted to do a non-flex nib review of the ink. Definitely check out some other reviews to see what this stuff can do in a flexy nib, I’ll link some posts at the bottom of the review. In a normal nib, the ink writes a bit dry. 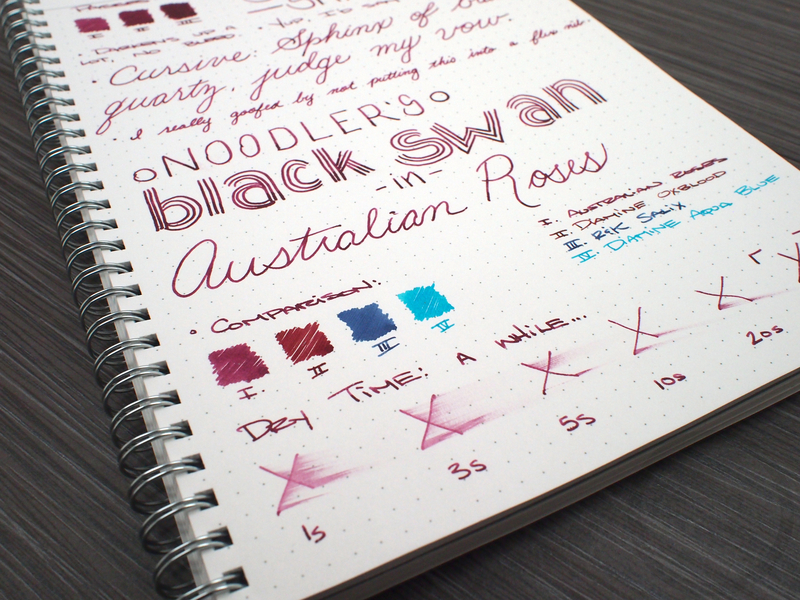 Since it’s more than likely to be used in a wet flex nib, the dryness makes sense. 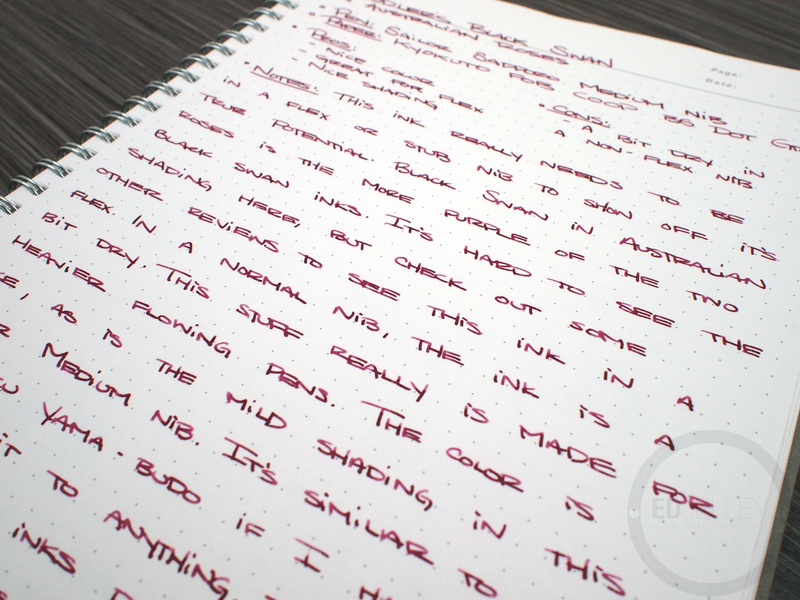 In a pen that lays down a ton of ink, the slight dryness would be a welcomed characteristic. 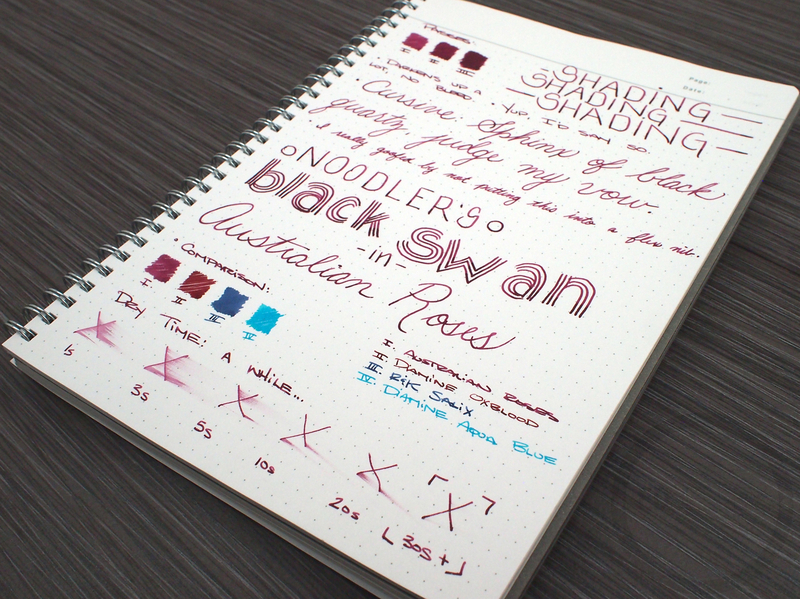 The color of the ink is nice, as is the mild shading in the Sailor medium nib. When I pushed the nib a bit on the second page of the review, you can begin to see how well the ink pools at the bottom of the downstrokes. 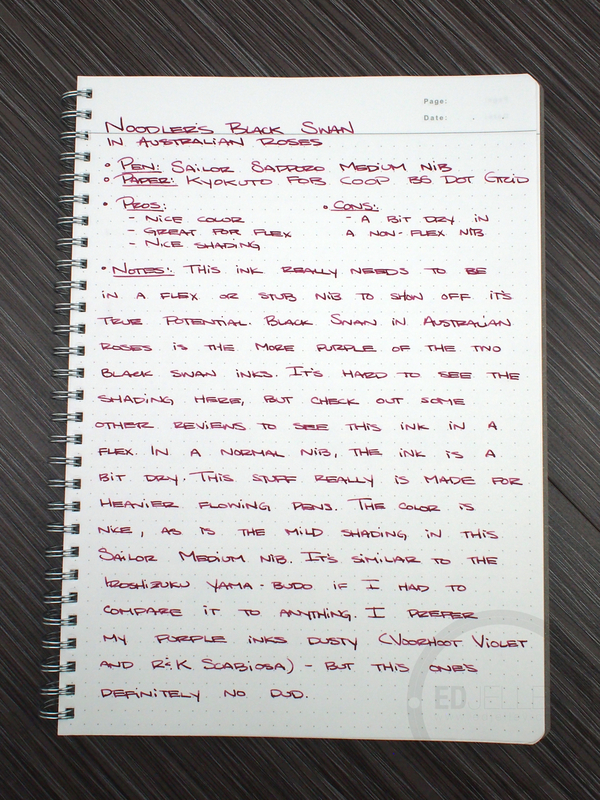 It’s actually pretty similar to the Iroshizuku Yama-Budo if I had to compare it to anything. 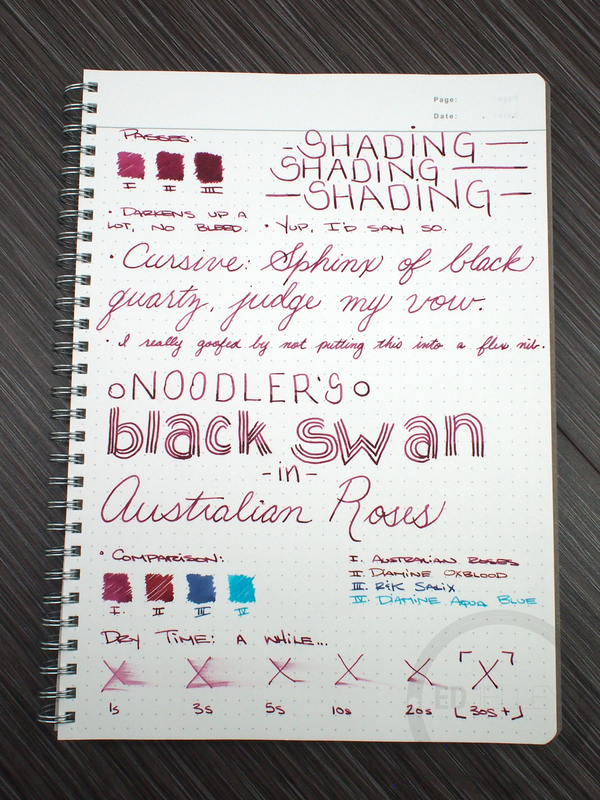 I prefer my purple inks dusty (ie: Akkerman Vorhoot Violet, Rohrer & Klingner Scabiosa) – but this one is definitely no dud. Thanks for reading, and enjoy the pictures! Another great review and another great color to add to my want list. Thanks Mr. Enabler ha! Sorry! I only had a sample of it, and I think I got it out of my system for now. Good thing pen retailers do that, or I’d be drowning in a sea of ink. Thanks! 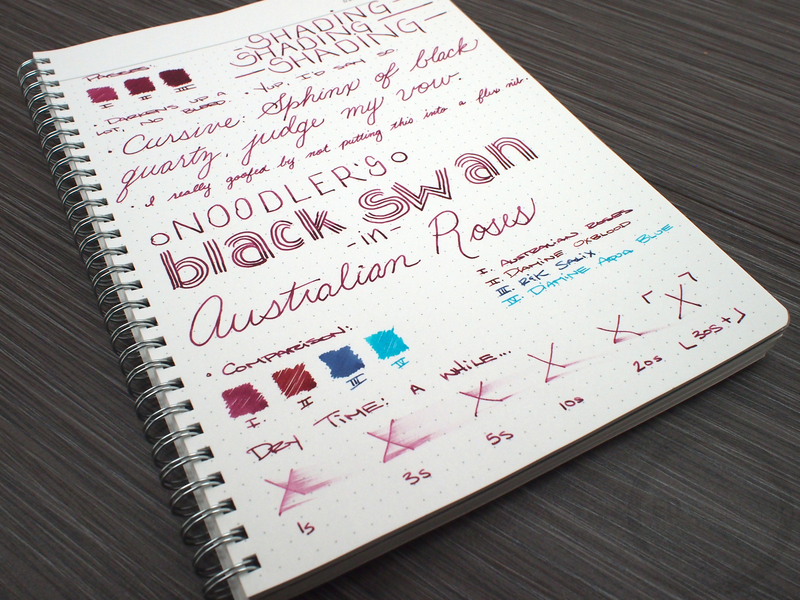 I wish I was a bit neater when I was writing the name of the ink though. Oh well, next time! That’s definitely a shame, they make some great stuff! At least you have some 54th Massachusetts, that’s one of my favorite inks. This is the old Australian Roses right? I heard they changed the formulation or one of the ingredients in it is different now. Might be I’m wrong.